Are you worried about the security of your Computer and your data? Want a worry free computing experience? Website Filtering – Blocks known attack sites, and other categories the customer requests such as Adult sites etc.. The entire staff of Perry Hall Computing LLC is proud of its community-based company and finds it very rewarding to provide IT support for businesses, organizations, and individuals. All of us believe in person-to-person communication, which is why, when you call us, you speak to a real live person who cares about your needs. We are more interested in creating long-term relationships than making a quick sale. For us, business is personal. Our customers know we go the extra mile to help in any way we can. 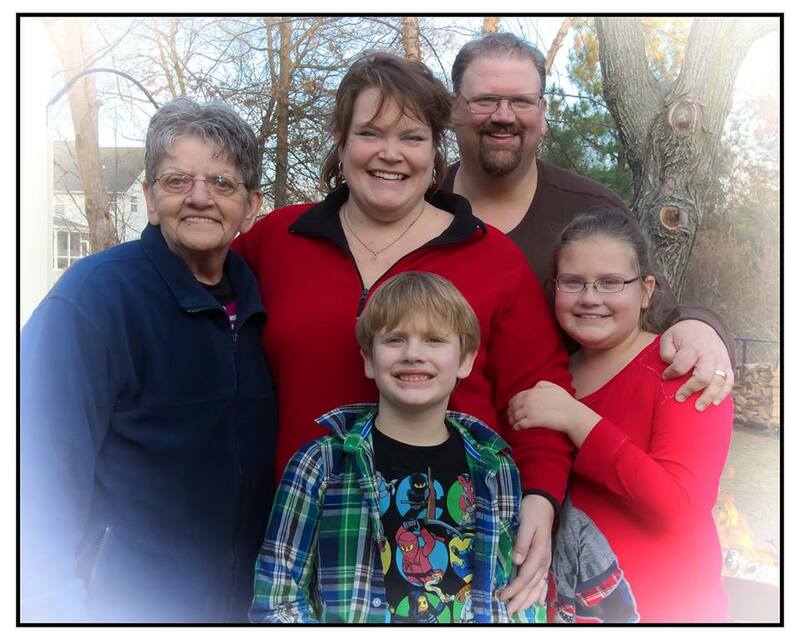 Our customers are our neighbors! Fellow business owners, and Fellow PTA members. Since 1999, Perry Hall Computing LLC has encountered just about everything that can happen to a computer system. That’s why we became a one-stop computer services company. From providing assessment of your computer requirements and custom hardware, to remote backup and computer maintenance packages, we work creatively with your system requirements to give you peace of mind. At Perry Hall Computer Repair, we’ve helped numerous local companies and individuals since 1999. And one of the top reasons people contact us is a problem with a slow computer. Every computer slows down over time with use. It’s inevitable. As you add and delete data, electronic junk builds up and slows your system down—much like your kitchen pipes start to drain slower over decades of use unless they’re flushed out. And that’s the silver lining here: It is possible to have your computer “flushed,” or optimized, so it’s running as good as new. We Offer Free Pick Up and Delivery for all Repairs – Most Repairs have a 24 hr turn around! •Provide a computer netstata denial of service virus fix! Seasons Greetings to All !! We have opened up several different holiday cards this past week. Yeah, ’they’ve been arriving at our office for the past week and what an amazing, moving experience the act receiving holiday wishes can be. As far as I’m concerned, this blog is more than just me typing my thoughts on a web portal. It’s an interaction between bloggers and readers, it’s an interaction between friends and friends. And if I could send cards to everybody who I call “friend,” there wouldn’t be enough cards left in the Perry Hall /White Marsh area for others to use. Merry Christmas. Happy holidays, Joyeux Noel and Peace. Merry Christmas an Happy Holidays to the wonderful people who fire up their computers and check out what we at Perry Hall PC Repair doing Those that follow us on Twitter, Facebook, or Google +. We thank you and truly appreciate your support of a local, family owned computer repair service in Baltimore, Maryland. 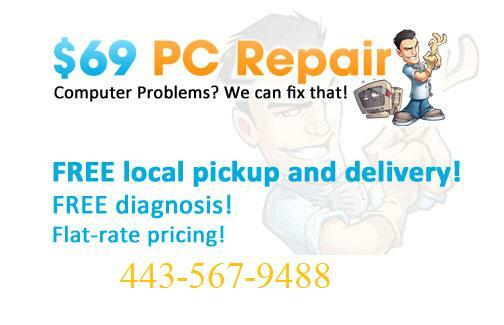 We have been serving Baltimore with fast friendly & affordable computer repair. Connected PC Solutions© offer three ways to get your computers, laptops and other tech fixed. We now offer In-Shop, with our FREE Pickup & Return computer and laptop repair. 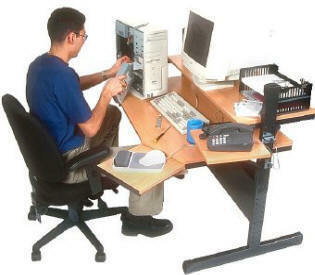 We can service both home and small business customers from Baltimore City and Baltimore County. Nickel and dime our customers. We never charge inflated hourly rates or stick on extra fees for things like same day service or cleaning dust from inside your computer. When you call us you will know an exact repair cost $69 +Parts for Computer Repairs and $79 for Standard Virus Removals. We make sure every customer knows exactly what the cost of the repair will be. 30 Day Guarantee on all work! Our clients could choose to use the Big Box stores. I’ve heard from many that the gimmick of the “Special Agent” wears off quickly when the prices are very high and you are just a number. You get Agent 10009 today….Agent 234 next week…and a new one each time. But they choose us!! I think the big stores have a great thing going but just like their retail operation they are a VOLUME business. You are expected to know a lot about your technology so they can perform work on it and give it back to you. 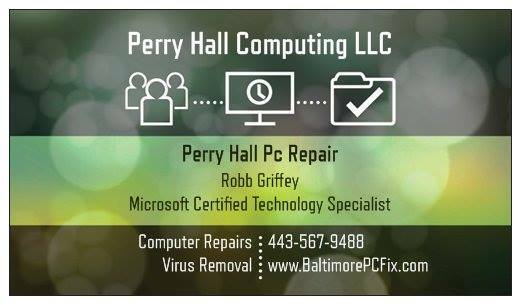 I take a different approach in that I see Perry Hall PC Repair working for your business as if we are on staff. We feel a responsibility to make your IT work to help your business succeed and thus look to us for the long term. 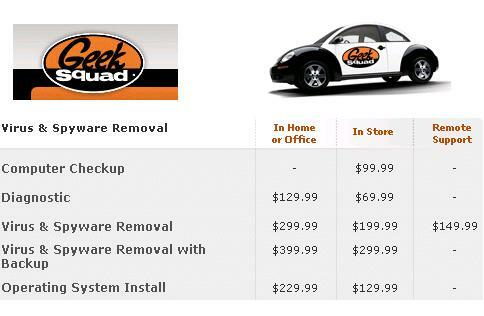 You can take your computer to the Geek Squad and pay $199 to have a Virus removed OR You can call Perry Hall PC Repair and pay just $79. You can wait 3-5 days for the Geek Squad to remove the virus OR You can get your machine returned to you by us in most cases 24 hours. You can pay the Geek Squad $69 to diagnose your computers problem then pay them an additional $129 +parts to fix it OR You can Call Us and pay just $69 + parts to fix it No Diagnostic fee. Most of the work Geek Squad takes in isn’t even done buy the Geek Squad. Geek Squad contracts out their work to companies like Support.com, AgeoTech and others who remotely fix your computer while it is at the Geek Squad. This is known as Special Agent Johnny Utah. Since 1999 we have offered honest, Flat Rate Computer repair at an affordable price. In this tough economy where times are tough and the dollar doesn’t go as far as it used to we offer an excellent value.